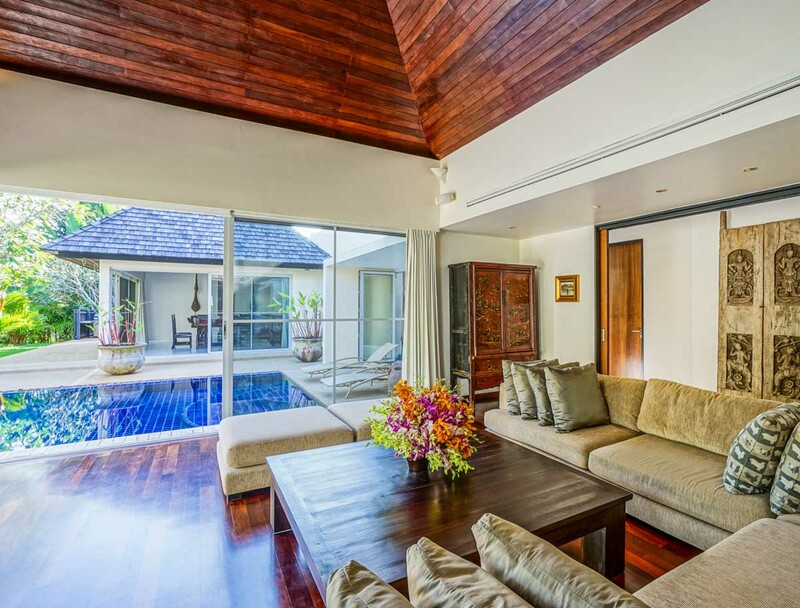 Villa Samakee is located in the secured Layan Estate enclave, just minutes from the soft sand beaches on Phuket’s west coast. 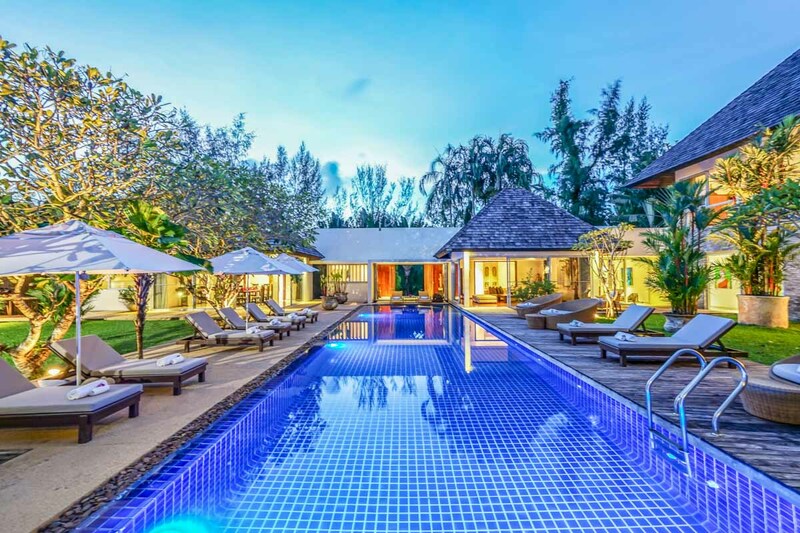 Ideal for an extended family, this spacious holiday retreat features a stunning 65-foot swimming pool and a full complement of quality services. 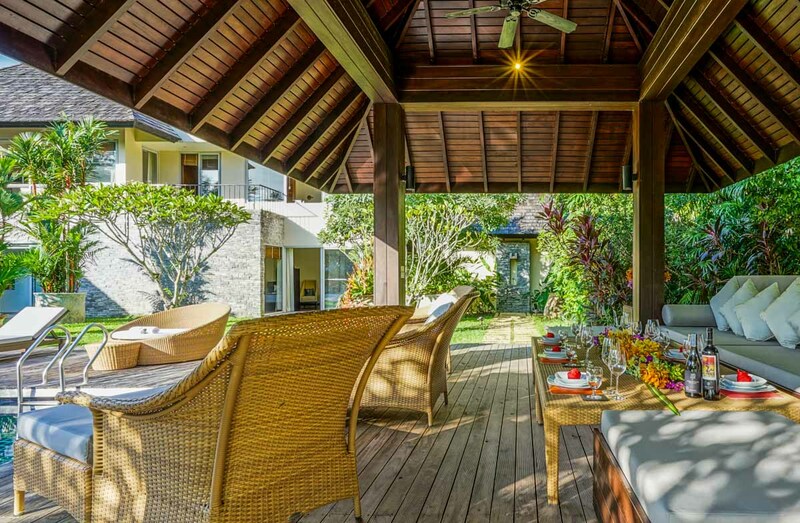 The spacious wooden pool deck offers a divine choice of spots to catch the sun’s rays, while a lovely outdoor sala provides a shaded lounge area just a hop away from the 10-person jacuzzi. 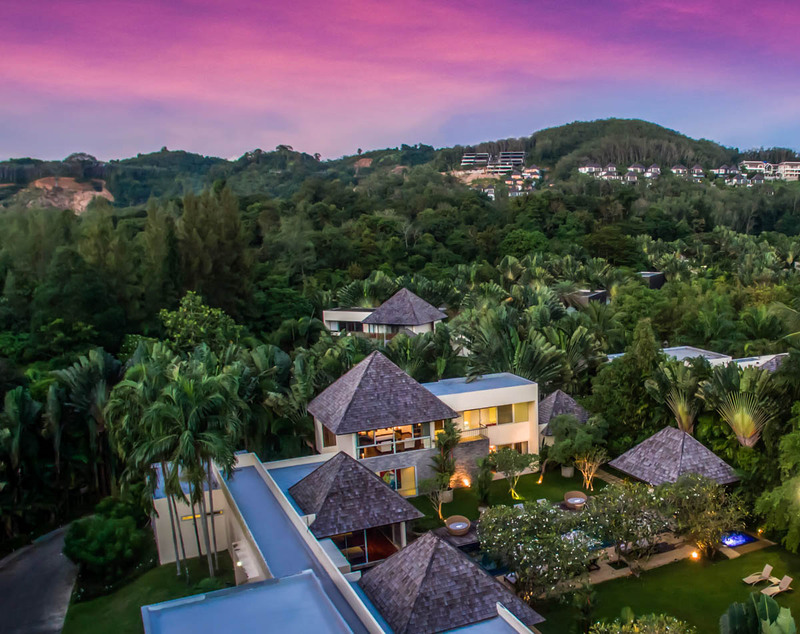 Towering fan palms and a rich variety of tropical garden plants create a vivid green landscape and a natural border that keep the villa ultra private and secure. 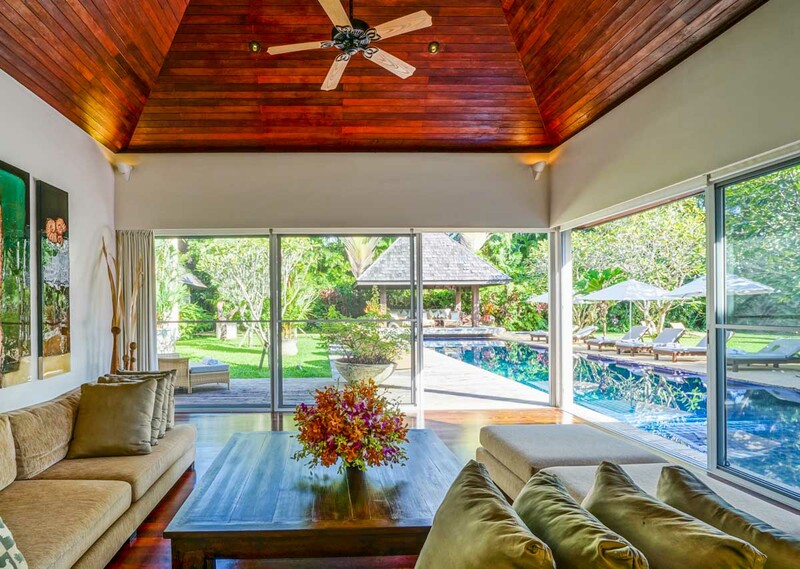 A large living room with a gorgeous vaulted timber ceiling and two walls that open completely to the outdoors offers a nice spot for reading or enjoying a cosy chat with the family. 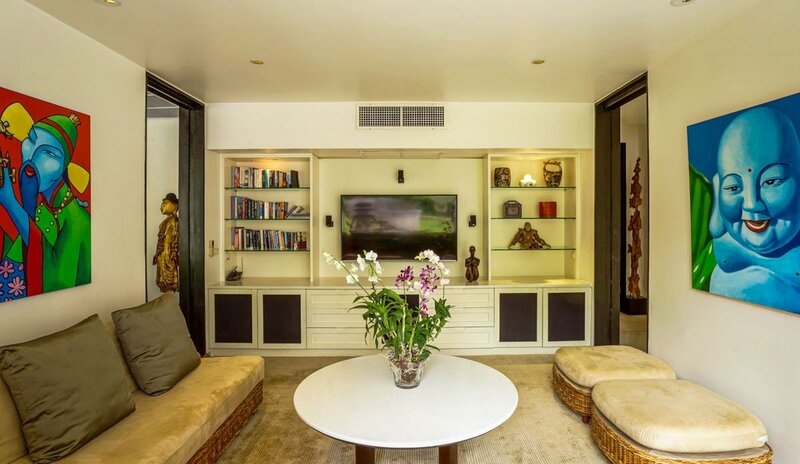 The well-equipped Home Theatre, with 100 satellite TV channels, is a colourful, fun space for children and adults alike while a private study leading to a garden patio provides a quiet retreat. 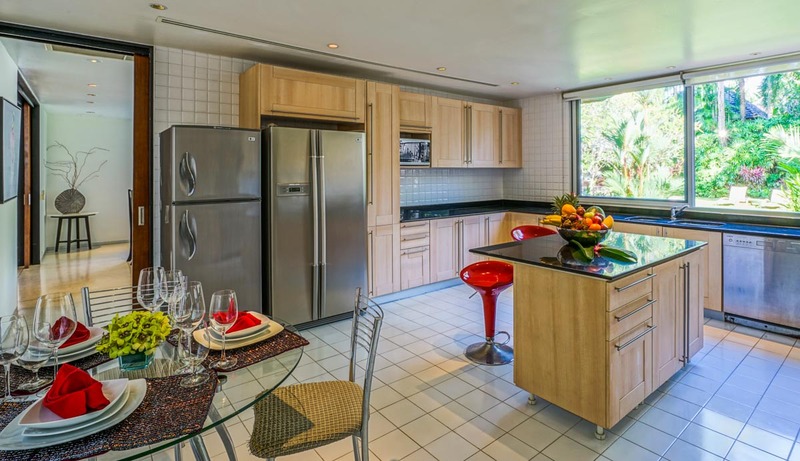 A formal dining room set in front of the superbly fitted out western kitchen has seating for 16. 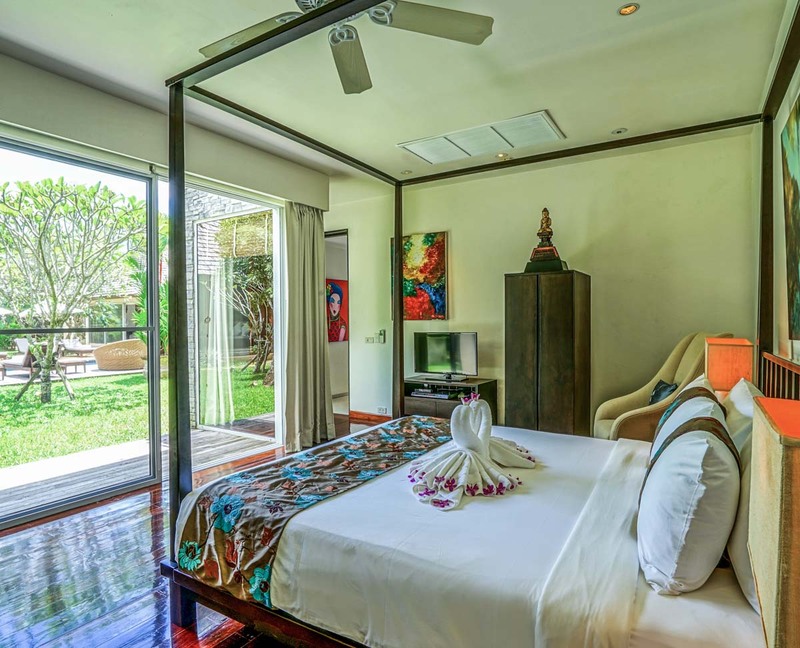 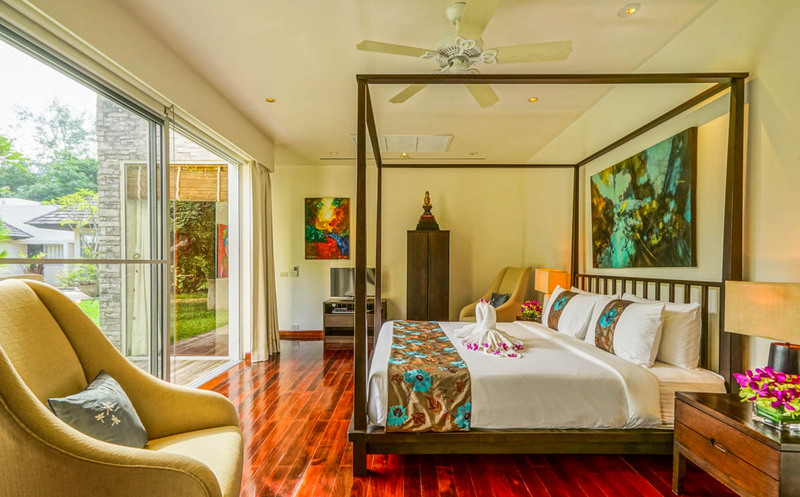 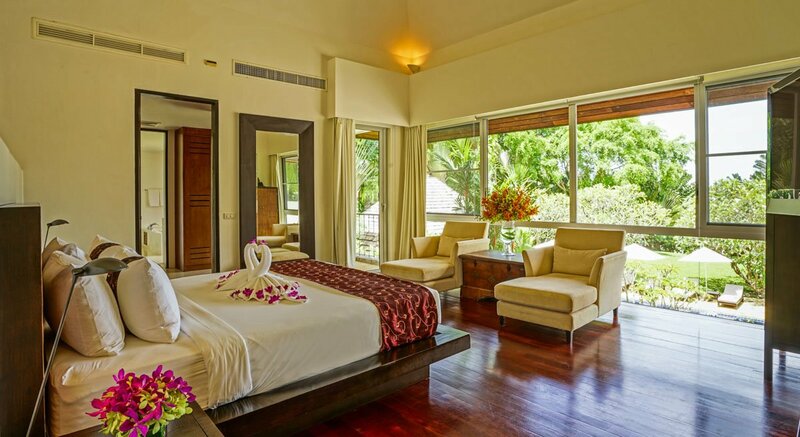 Each of the 5 bedrooms offers a very well appointed, peaceful oasis for couples or kids. 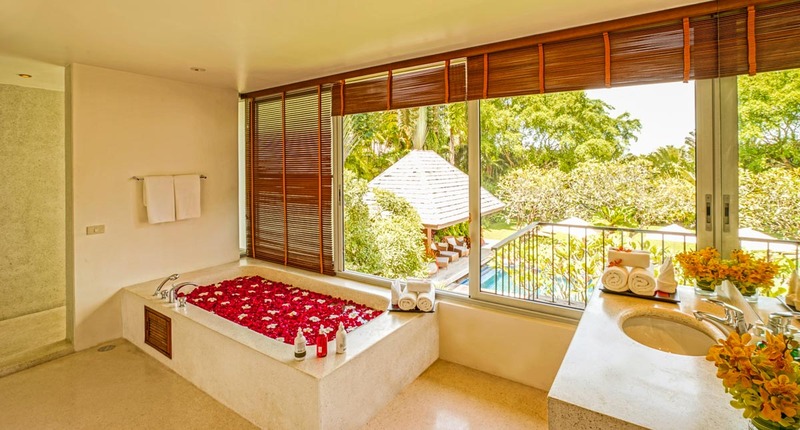 Romance abounds in the upstairs master suite, which features a two-person terrazzo bathtub that overlooks the pool from its private bathroom. 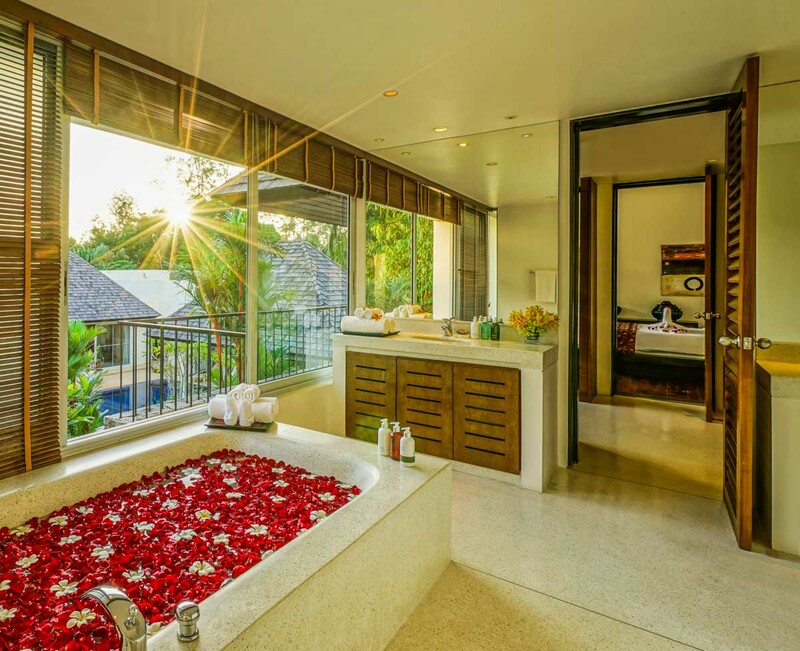 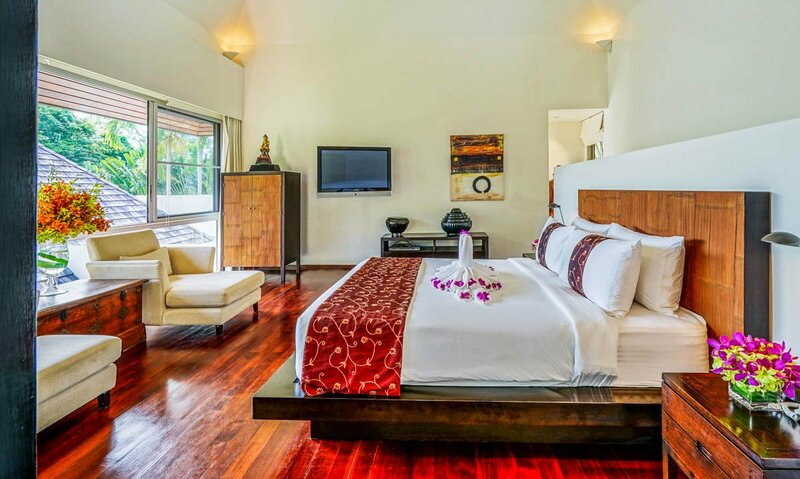 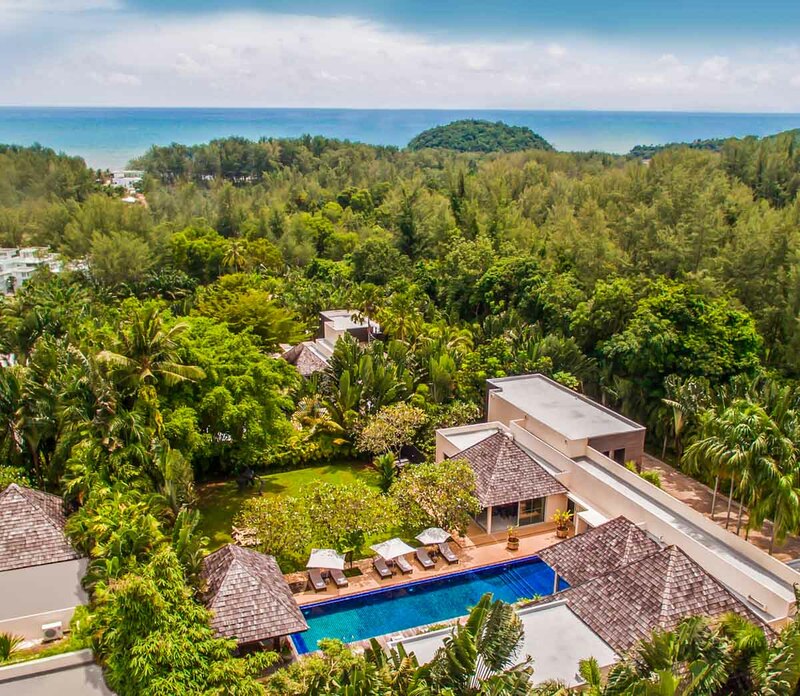 Villa Samakee is a world away from Phuket’s hectic tourist centers, yet it remains within easy reach of the island’s finest restaurants, spas and boutiques. 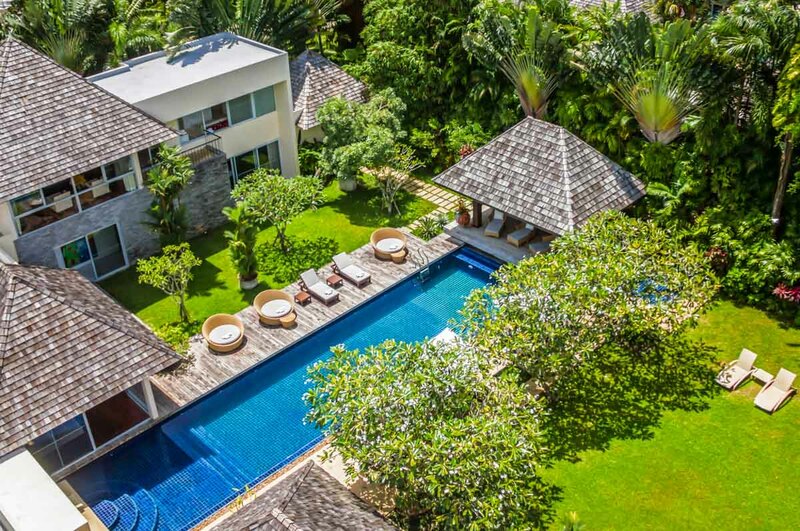 Villa Samakee is located in the secured Layan Estate with high walls and dense foliage giving it complete privacy from neighbouring villas within the estate. 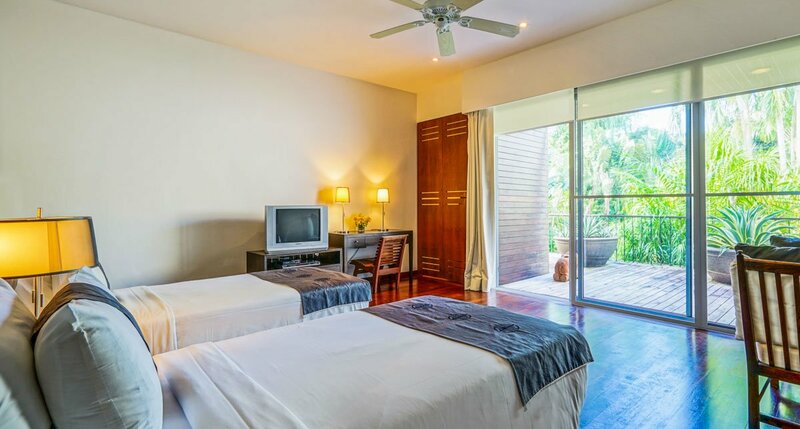 Leisure attractions include a two minute drive to Dream Beach Club. 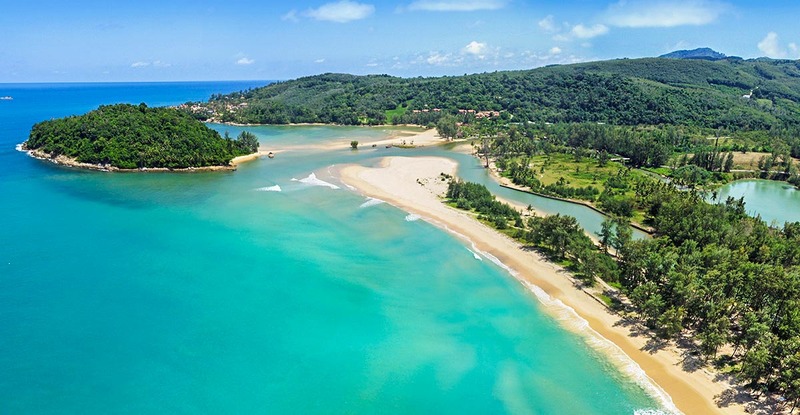 The peaceful powder-sand Layan Beach, one kilometre west, retains an idyllic, sleepy feel with traditional longtail fishing boats gliding in and out of the estuary behind it.